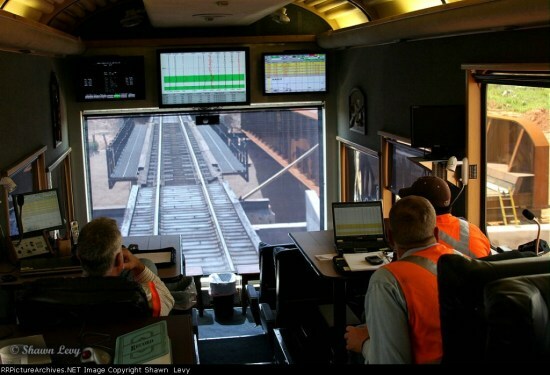 The apparent�popularity of our recent philosophical post on Track Geometry Cars�motivates us to post this photo of monitors from the rear window of a BNSF 80 car, from this fine foto�Foamer site. Thanks, reader. If you like Track Geometry and Inspection cars, here are tons of them. Foamerism, or foamerocity, is always good. In limited amounts.